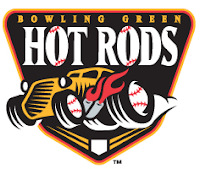 Appleton, WI – The Hot Rods and Wisconsin Timber Rattlers were rained out on Tuesday night in their attempt to begin a three-game series in Appleton, WI. As a result of the rain the teams will play a doubleheader on Wednesday afternoon at Time Warner Cable Field at Fox Cities Stadium. Each game will be seven innings long with 30 minutes coming between each game. Game one begins at 12:05 PM. You can listen to both games with Tom Gauthier beginning at 11:50 AM on 1340 AM WBGN and www.bghotrods.com.